Several minutes ago, a good friend of mine forwarded me a google link to an article by a wonderful journalist, Norm Whitehurst with whom I had the privilege and pleasure of speaking earlier this year when we did our initial interview for his online publication…. Back in January, I had the pleasure of talking with someone Billboard Magazine touts as one the the 10 fresh faces to keep an eye out in 2008. Her name is Tinatin and she’s not disappointing. The music she puts out is from the heart and you can tell when you hear her voice. Not only that, she’s….gasp….smart! Talented, smart, speaks at least 5 more languages than me (I barely speak one) and is a born performer. She’s just released “Love is More Than Words” which can be found on her MySpace page. And for you, she’s let me post it here. Give it a listen and go add her as a friend. Tinatin will be a star in the near future. Trust me. And if you write to her, she responds. Love her! This year will be a breakout year for musical artist Tinatin. That’s according to Billboard Magazine who listed her as one of the 10 fresh faces to keep an eye out for in 2008. In the US, she’s a well-kept secret who’s about to go public in a big way. Tinatin was born in the Republic of Georgia 23 years ago into a family already deep in the arts. Her father is an architect and painter while her mother is a classical pianist. Now living in New York, she’s working on an album due out this year. Her music is not only enjoyable to hear, but impactful with messages—from the state of the United Nations to HIV, her voice clearly paints a picture for her listeners. Her single “We the Peoples,” is available on iTunes and will be a part of her album. Billboard calls it, “a penultimate, contemporary anthem honoring the mission of the United Nations, perhaps more relevant than ever, given the flux of worldwide politics… a resonant affirmation that politics actually have potential to unite.” You can’t get a better review than that! Holliston: There’s a lot of excitement and buzz out there about your music right now. What is it that got you noticed by Billboard? Tinatin: I think ultimately, especially in New York, it’s a story. If you have a story, no matter how good or mediocre or perhaps even poor, the songs are, A.) it’s the record and B.) it’s the story and if you can put the two together then it can more or less guarantee a buzz. I think New York is based on buzz. Buzz and hype, to me signify New York. H: The good thing about that buzz for you is that you do have a good product. And you have an album coming out. T: I’m actually wrapping up with the material. I worked on the album both in New York and in London and initially I started the record in London with Christopher Neil, my producer. When I got to New York, what I realized immediately was no matter how many similarities between the industries in London and New York, at the end of the day a European record is a European record. And in America, unless you do things the American way, it’s very hard to convince them that no matter how good you may be, there is so much out here and you have to do something different. I had to practically re-do a lot of my material done in Europe to make it more suitable together with my team in London (Christopher Neil and Peter Adams) and the US producers, yet keep that European factor there that would make me slightly different from what’s out there. H: What did you have to do differently? T: We had to rethink a lot of the arrangements. Some of the production values had to change. For example, as soon as I got here, Christopher Neil immediately got American producers on board such as Bob Iadeluca and FAB, who’s actually a French born producer and songwriter, and he’s already very successful in America. He got them to really listen to the songs and see what they could bring to the table to make it a little bit more American, a little bit more U.S. oriented, yet keeping the same songs that made the record unique. At the same time we didn’t want to go too American so we could still appeal to the European market, thus writing additional material with Chris Neil and Peter Adams – my UK team – in NY. H: When will the album be released? T: As soon as possible! I absolutely cannot wait! We’re just wrapping up with the songs. We need a couple more songs and then we’ll be ready to put it out there and see where it takes us. H: Does the album have a name? T: Not yet! It was difficult enough coming up with the first single. We had to pick out a song that would not only be a record—a song, but ultimately it would tell a different sort of story about me. 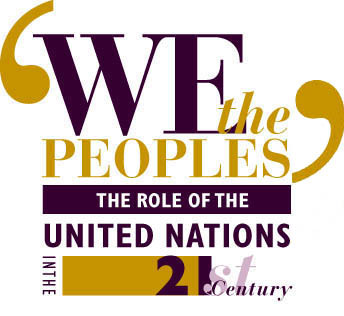 I think that’s when we went for the song “We the Peoples” based on the United Nations charter because it tells a little bit about me—my background as a journalist, my attachment toward the UN. To me it’s more than a song. It’s a story. It’s who I am. That song immediately creates an image of me. And based on that, we had to rethink a lot of the songs on the album because I can’t put songs that are too different from it, too girly, or too romantic. It creates a whole concept for the record. H: What is it about the United Nations that has drawn you to it? T: I think that the current climate that I grew up in has been a very exciting period for me. Being 23, I’ve seen quite a bit. I’ve lived through a civil war in Georgia…we moved around a lot. There was a lot that really touched me throughout the years when I was growing up. 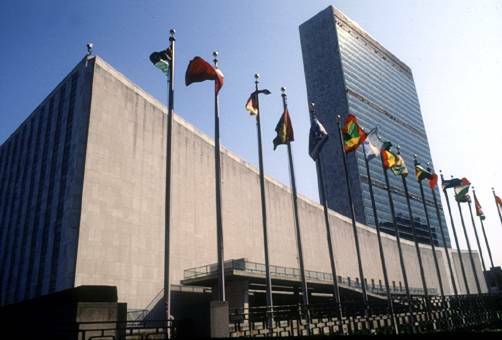 And when I found the place that really sums everything up for me into one, which is the United Nations, where it covers everything from peacekeeping to HIV-Aids to human rights, the concept of the UN is what really drew me to the organization. There is a freedom to be able to make that little bit of difference as a human being yourself, given the opportunity. And through that and in many ways also through the great idea of author and UN expert, Ian Williams, I decided that if I can work at the UN as a correspondent why don’t I write a song that will appeal to people because ultimately music is the language that is very universal. Everybody can relate to it. Everybody can understand it. Music can click with far more people. H: With all the attention currently focused on you, how do you keep the buzz alive? H: Once the album is released, will you tour? T: Absolutely. I’m rehearsing with my new band in New York. So once we have our concept together as a band we will start playing some venues both in the US and internationally. H: Having lived in many countries, does that impact the way you write and the way you perform? T: I really think it has an enormous impact on the eventual product. Having performed in several countries, that’s when you realize what every audience wants. I think every audience in every country is different. They have different expectations from you, different demands, different tastes…being able to target them all with one record has been the biggest challenge of all. Being able to sit down and say how can we make this universally acceptable…how do we make all these audiences feel they are a part of it…that it was done for them, not just done in a different country and imported. Having that experience of performing before international audiences has been very helpful in determining the final sound of me as an artist. H: Do you have plans on releasing songs in different languages? T: Yes I do. Very much so. I think that because I made my debut in France, France can be a very strong market for me. I love their music and it comes down to if you love their music and you incorporate those elements into your music that can click with them as well. H: What brought you to the United States? T: When I was little, when I was growing up, during the Soviet period, we were so interested in anything to do with the West. When the first Russians, Georgians, and everyone else from the USSR got a chance to travel, my parents were one of the first to be able to actually go to America through my dad’s work as an architect and painter. And when he came back, told me about it, and showed me the films he took, I was so fascinated by it. And factor in American music and musicians like my all-time idol Barbra Streisand that, to me, means America. America, to me, was the ultimate goal. It was the land that meant everything. If you want to make your dreams come true, no matter how much of a cliché that may be, trust me, this country gives you far more opportunities than anywhere else does in the world. When I got the opportunity to move to America, it was a hard decision at first. But I knew that if I could sustain myself for the first couple of years and attract enough attention to be able to stay here for another couple of years, it would mean there is something here for me. If you make it here, you’re bound to make it anywhere else. H: And your goals for 2008 and beyond? T: It all comes down to doing what I genuinely love and being able to share it with an audience that responds. Whether it’s through the album coming out this year, the concerts I’ll be doing, it all comes down to being able to do something I love to do. • Tinatin speaks six languages (Georgian, Russian, French, Italian, English and Spanish) and is working on learning Japanese. Domo arigato! • Her three most talked about songs include “We the Peoples” (co-written by Tinatin, FAB and Arnie Roman; produced by FAB, “I Pray” (co-written by Tinatin, Chris Neil, Peter Adams, Jane Ryall; produced by Chris Neil and Peter Adams), and “Wild” (co-written by Tinatin and Ayhan Sahin; produced by Ayhan Sahin). • Her full name is Tinatin Japaridze. A United Nations Correspondent reporting for the world media sounds like a very impressive position – and it can be an exciting opportunity and also a great deal of fun to get to know the UN inside out, particularly if you end up becoming one of the “in house” correspondents based at the headquarters. I was very fortunate, thanks to my fellow colleagues at the Department of Public Information (DPI) and the United Nations Correspondents Association (UNCA) to represent the Russian media (and later one of the NY radio stations run by Gary Null called Progressive Radio Network) at the UN HQ from late 2006 onwards. Apart from getting to know the basic UN Secretariat activities and daily tasks, the best part of the experience (at least the first 6 months or so) was making new friends… No, not your average bureaucrats (although some are genuinely fascinating and very friendly people, albeit slightly too obsessed with the UN paperwork) but UN interns from every part of the world. We had an absolute blast and quickly became known by our first names and the newly acquired nicknames: “The Elephant”, “Pussycat”, “Grey Hair”, “Lola”, etc. In a way, the experience proved to be as entertaining as my college and Uni years… Honestly! The first month or two were intense and we really tried to work as much as possible – noon briefings, reports, deadlines and nothing else – work, work, work. However, as we really got to know each other and became more familiar and relaxed among our little company of the “UN Youth”, it was clear that with all due respect to representing the world media in the morning hours, afternoons and evenings were THE TIME for some UN fun – and did we have fun!!! The broadcast “side” job was, of course, the least productive of all… 0 viewership, 0 $, but we had so much fun during those few weeks I foolishly spent hours “debating” with my girlfriends on air… CRAZY! The daily noon briefing was our regular get-together spot first thing in the morning. The Spokesperson of the Secretary-General, Michele Montas, is one of the most charming ladies you will ever meet, so she was certainly amused watching us across the room from her platform… And we did ask the daily diplomatic questions, as well! After all, we had to report afterwards, so there was a degree of hard work involved, too, particularly on those late nights when I transcribed my lengthy interviews recorded directly onto my iPod. In the afternoons, we used to gather around our international youth-oriented table for a 2-hour lunch break – diverse topics from latest UN news to current crushes and new ice cream flavors filled every conversation and kept us “busy” throughout the day… Until we had to split for a bit to concentrate on work in our separate offices and work areas. After spending a couple of hours genuinely researching and writing up our articles, we’d gather at the delegate’s lounge for an early round of drinks and a bit of political catch-up, discussing the UN social circle in the DL area. Every now and then, we had too many pressing deadlines and simply had to sacrifice our bonding evenings for a bit of work and effort. It wasn’t always hunky dory, of course, but we did manage to make the most of even the dullest of conferences and diplomatic gatherings. When the internship period was over and most of our friends had to go back to their native countries, Facebook and MySpace became our primary medium for keeping in touch, but so far so good – can’t complain! We have managed to stay in contact throughout and those who are still in NY get together quite often to remember those good old times at the United Nations. I am, as you may know, still at the United Nations reporting for a US radio station on weekly basis, but it is no longer about having fun and a good laugh – it’s now work, work, work – every Tuesday. Definitely worth an internship for young people, no doubt, particularly if you are into diplomacy and what the United Nations stands for as an international body, and last but not least – if you’re lucky and you happen to be there along with a whole group of fun and adventurous fellow interns, it really doesn’t get much better than this! Yet with all the crazy adventures and excitement put aside, it really is a great place to be and I love every minute of it. Nothing compares to walking into the building every Tuesday morning and feeling every bit as proud and privileged to be there as I felt the very first time I went to my DPI meeting about my song project – a song that wasn’t even written at the time and was a mere idea up in the air… but more on that later! What a shame that once-in-a-lifetime fun always comes to an end at some point… Why don’t good things ever last long enough?